Mark Chitwood Photography: I Was Right! 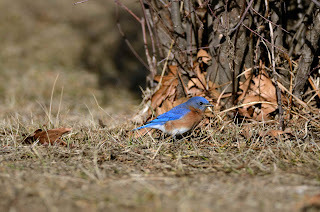 Sure enough - there were bluebirds right were I thought that they would be. 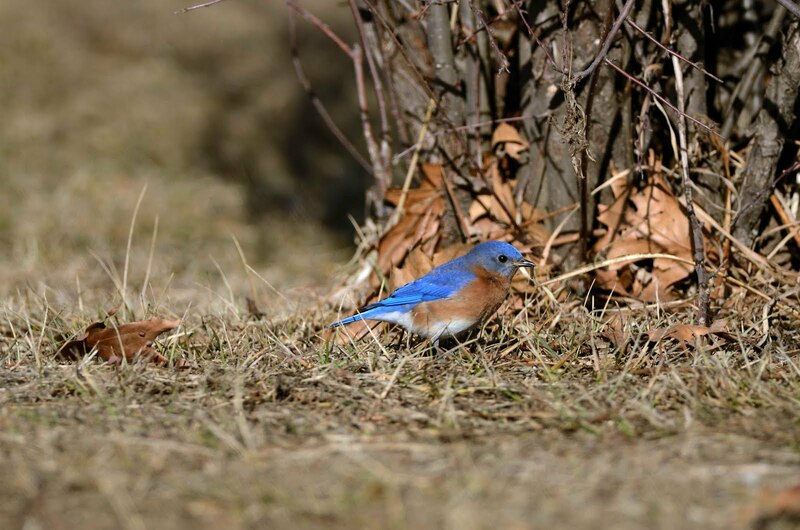 The snow was gone - and bluebirds were looking for something to eat. If you click on the pic - you can notice this guy had a little snack. Just when you thought it was going to stay nice around here a cold front came. So we are still waiting for spring. But there is hope. Cranes are already arriving in NE! Check out Rowe Sanctuary's website. Can't wait.